Contest winners will serve as Honorary Mayor, Honorary Mayor Pro Tem and Honorary City Administrator on Monday, January 28, 2019, by spending the afternoon meeting with city leaders and touring city facilities, including the Justice Center and Fire Department. ( Student City Leader for a Day winner’s schedule will be subject to approval by his/her parents.) On January 28, the winners will enjoy a welcome reception at 5 p.m. that is open to staff, city residents and the winner’s friends and family prior to participating in a pre-council meeting at 4:30 p.m. to review city business and then co-preside over the city council meeting that evening at 6:00 p.m.
Contestants must submit a one- to two-page essay addressing the following: 1. 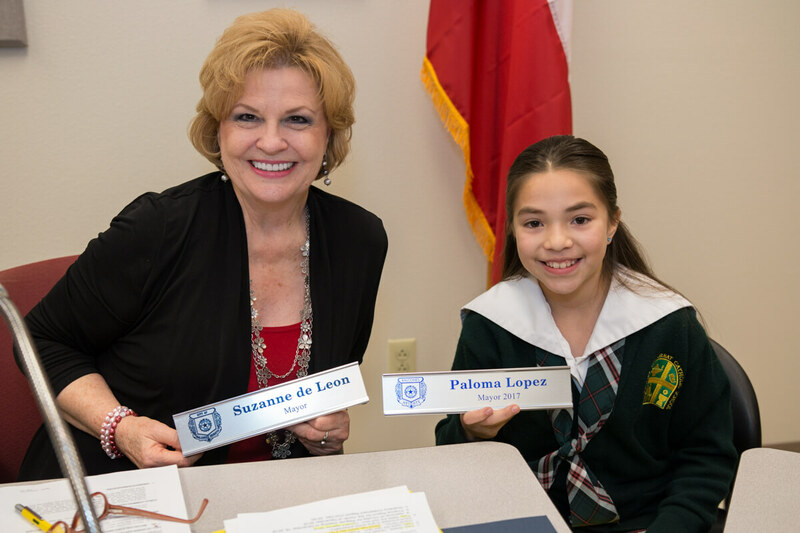 Why would you like to be a Balcones Heights City Leader for a Day? 2. If you were a City Leader, what would you do? 3. How did you come up with your idea? 4. What would you do to encourage people to get more involved in city government?